This act of kindness doesn’t surprise me, it’s helping some grieving people heel just a bit, I’m sure Ryan was watching down smiling. Thank you so much for the very nice and so true article. We have so much to be thankful for. 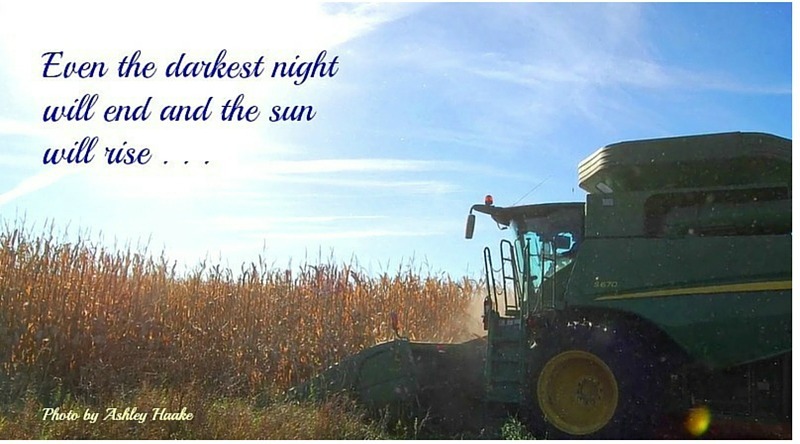 He truly loved farming. It was his dream and he was so proud of his crop. 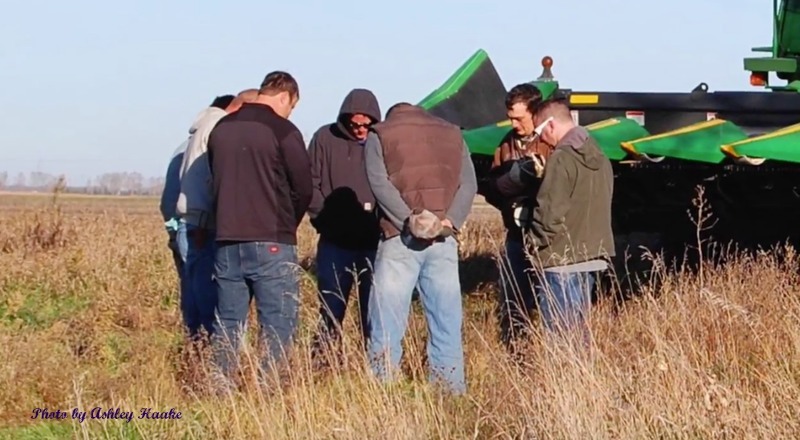 We pray this never happens, but when it does the farming community is there to help. Thank you for sharing this touching tribute. We are a people who have always survived and held each other up in the midst of tragedy. Our morals and values and faith are what built these farming communities. They can call us hicks, Big Show, and complain about GMOs but at the end of the day – we are the ones who smile and are blessed. Praying for healing for you all! This is so very true! When my family lost our husband and Dad it was the friends and family that helped us get through it… It has been over 38 years ago, but like yesturday to all of us. God’s Grace is awesome!!! Bless this family too. I remember that day also Sammie. It really makes us slow down and appreciate what we have each day. Lives change in a moment. What a blessing your community has to have the strength of your faith & each other. Yes, it does. It really brings us all back to our core values. Hello Wanda, old at blogging but just newly returning to regular. I came over from Grandma’s Briefs. I so live in a small rural community. Do not farm these days but have in the past. I so understand the affect of such an occasion. Just recently a well know senior at one of our high schools was killed in a car accident on her way to school. Yes it takes a community to raise a child and we all mourn when we lose one. Blessings to you and your community. This is why I am still a proud “farmboy” even though I left the farm over fifty years ago. Thanks for sharing via The Grand Social. What a lovely thing they did. That’s what makes small towns so special. I’m stopping by from the Grand Social even though I didn’t post anything this week. Have a great week thanks so much for sharing this. I really thought this was a great story to share. Thanks for stopping! As a friend of the sister Heather, knowing her grief at this loss, it makes me pleased to know there is a community out there who loves their own and takes care of each other. Know that it is in those acts that his family finds comfort and as people you will never meet, know that we thank you. It is your acts of kindness that makes my precious friends grief just a bit less.